When voters approved Proposition 64 in November, the promise was that by Jan. 1, 2018, recreational cannabis users could walk into a licensed store to purchase their favorite strain of marijuana. Meanwhile, the Medical Cannabis Regulation and Safety Act, which involves a number of new regulations for medical cannabis sales, is slated to roll out around the same time. However, there is evidence to suggest that the actual timeline for legal marijuana commercialization is going to be pushed back to 2019. A recent report published in The Cannifornian indicated that government leaders and industry insiders have posited that difficult regulatory challenges have to be hammered out before recreational marijuana becomes legal. Speaking at the recent Emerald Cup, held at the Sonoma County Fairgrounds, government regulators noted that prohibition on cannabis lasted so long and was so complicated, that the process of ending it is not going to happen overnight – even with this vote. For example, Lori Ajax, chief of the California Bureau of Medical Cannabis Regulation, noted there are a number of challenges created by the different structures of the two new marijuana laws, and there may be conflicts between the two that need to be resolved. Each take very different approaches to things like residence requirements, timelines, license categories and ownership. One of the primary questions, says Assemblyman Jim Wood, is whether this will result in two parallel marijuana regulatory systems or a single system that somehow combines the two. On top of that, the two have separate tax provisions. The California medical marijuana law levies just a retail tax. However, the recreational marijuana law imposes two taxes: A 15 percent retail tax and then also cultivation taxes that may vary depending on whether the product is in flowers or leaves and stems. 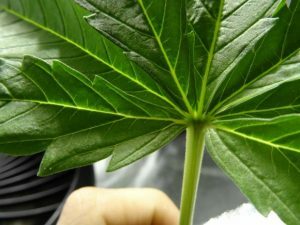 Growers are pushing back on the cultivation tax, in particular the provision that would charge them $2.75 per ounce of stems and leaves, which are probably never going to make it to the market. The only way to change this, though, is with a two-thirds vote by the state legislature. The other potential snag? President-elect Trump. Although he has been a staunch supporter of states rights, Trump chose Sen. Jeff Session (R-Alabama) for the attorney general position. Sessions declared just last year that those who use marijuana are “not good people.” He has long been an opponent of marijuana legalization, even as medicine. There is much at stake here because California is the sixth-largest economy in the world. It’s expected that market sales will grow to $4 billion in this state by 2020. The fate of many marijuana dispensaries, cultivators and citizens hangs in the balance.